I can't actually believe it's Christmas Eve today. I feel like December has flown by in the blur, and now Christmas is finally here I'm so ready for some rest and relaxation, catching up with family, exchanging gifts and eating lots of food. One of my favourite things to do around Christmas time is to bake. With all the deliciously festive foods you can whip up at this time of year, I like to try and at least bake one or two treats to either give as gifts or share out at family gatherings. One thing I've actually never attempted to make, however, is mince pies. Until a couple of years ago I didn't really like them, but now I'm hooked and one is just never enough. This being the case, I decided to see if I could make them myself. 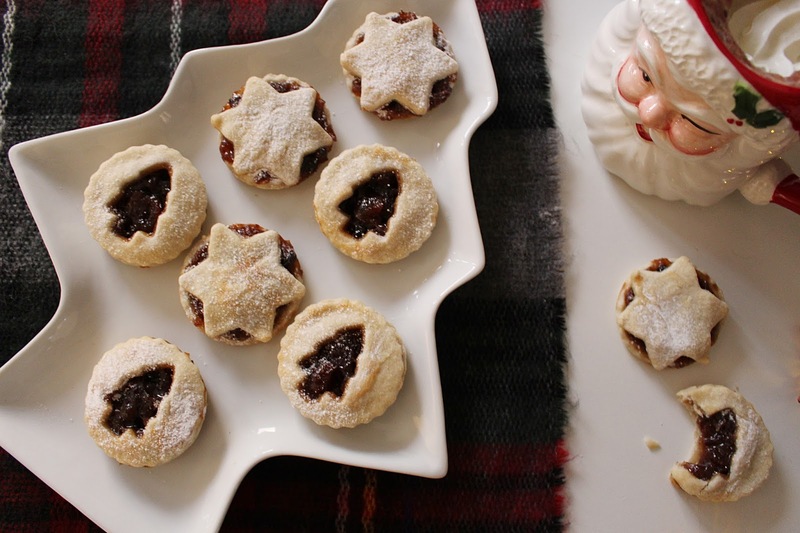 I didn't realise just how easy it is to make mince pies yourself - there are very few ingredients involved (if you're doing it the easy way, and not from scratch) and it doesn't take very long at all. I simply whipped up some sweet shortcrust pastry with one of those 'just add water' mixtures, rolled it out and cut out circle shapes to act as the base of the pies. Then I filled each circle with a teaspoon of mincemeat (again, this was ready made - I haven't the first clue how to go about making it myself!). I made sure not to add too much - on my first attempt I overfilled my pies and it wasn't pretty! Then I cut out some star shapes and some more circle shapes (which I then used a tree cookie cutter to cut out the middle) and whacked these on the top. I brushed some egg white over each one and popped them in the oven for around 12-15 minutes, waited for them to cool and dusted some icing sugar over the top. 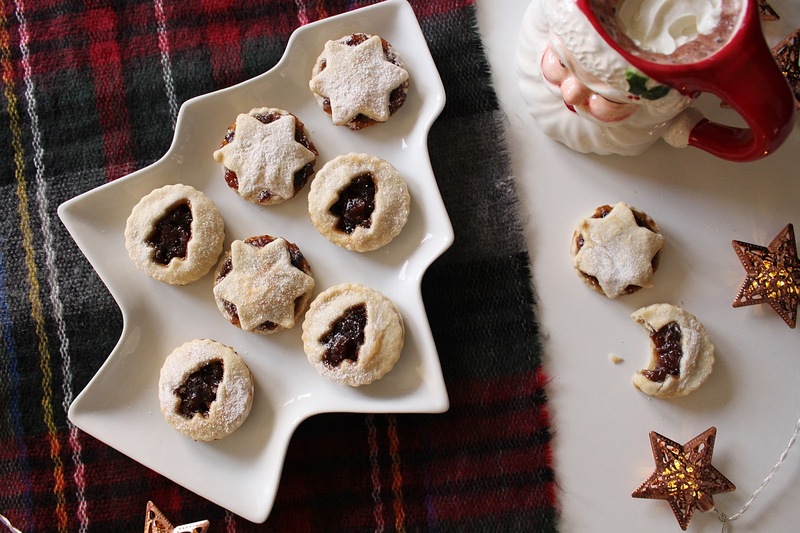 Voila - perfect mince pies that taste delicious and are so easy to do. I'm planning on baking some gingerbread today as well - another super Christmassy treat - and I think these will go down an absolute treat tonight and tomorrow. Are you excited for Christmas? Let me know what you've been baking or plan to bake - I'd love to know!